Even in uncertain times, daring to dream is crucial for your personal environmental health. A little over ten years ago, I was sitting at the Candle Cafe on the Upper East Side in Manhattan enjoying a vegetarian lunch with Melissa Biggs Bradley who I met through our mutual passion of travel. Our visit bubbled with excitement at the realization that our young children were just going off to school and we were free to follow our passions and get to work on making our professional dreams come true. I was getting ready to launch Greenopia and Melissa was about to launch a boutique travel agency that she would call Indagare which in Latin means to discover, explore, seek and scout. It was one of those moments that I can still see so clearly, a reminder that when you dare to dream and you share that dream it has a better chance of being realized than when you keep it hidden away. 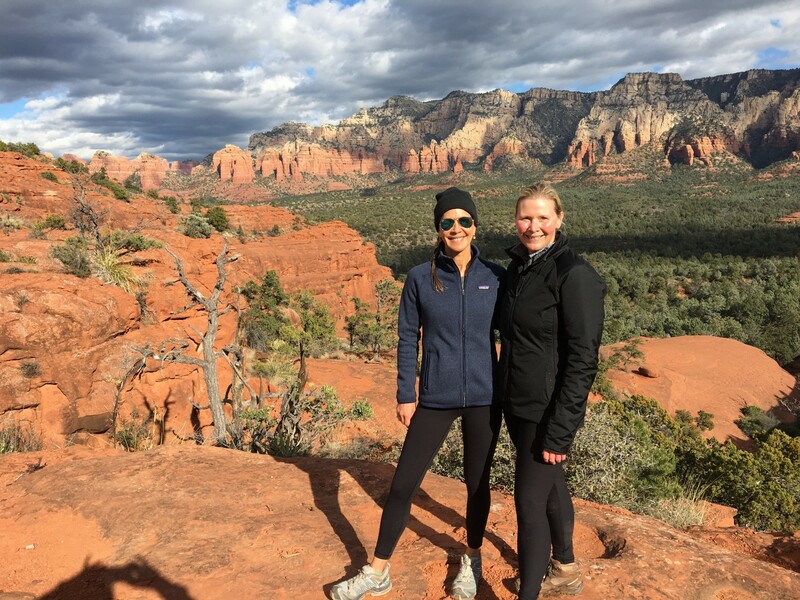 That moment came to mind again when I got a call from my dear friend Lisa to join her and a small group of women on a trip Melissa was leading with Indagare to Miiamo in Sedona, Arizona. I’ve always had the dream of beginning my year at a spa where I could hike and reflect and let myself me nurtured and pampered as I plan out what I want my year to look like. Ten years later, Melissa was helping me to create the space to make another dream happen. From the moment I said yes, I was giddy with the excitement of being at MiiAmo. Situated in the red rock of the Boynton Canyon and part of the Enchantment Resort, the campus is arguably in one of the most beautiful parts of the country. But it is more than the physical beauty of the surroundings that captivated me, it was also its sacredness. Our visit began with an opening blessing ceremony from Joan, who is a member of the 13 Grandmother Circle of Native American Indians, a global alliance deeply concerned with our environment and who believes the teachings of the ancestors will help light the way for the future. Joan asked each of us to choose a small square of cloth from a basket of colored cloths, put some tobacco in the cloth, tie it up with string and then make a wish. We were to plant that wish somewhere on the property during our visit and ask the Native American spirits to help make that wish come true. Joan saged all of us to clear away any energies we were bringing from our lives at home and to prepare us for our inner journey at the retreat. The next three days found me in a blissful state, infused by the spirit and amazing energy of my surroundings and the accomplishments, wisdom and passions of the women in the circle. Swaddled in warm organic cotton we chatted, ate deliciously prepared healthy foods and shared stories while being coddled by the wonderfully talented staff who performed everything from aura and intuitive readings to Thai massage and salt scrubs. One of my favorite parts of the retreat was a guided hike led by a Veteran who showed us a view of the Grand Canyon that was breathtaking and made me wonder why when California was so close, I did not visit it more often! I also did a lot of dreaming and planning for what I want my life to look like personally and professionally this year. During one treatment I was told I had an angel sitting on my left shoulder and that it was someone in my life who had recently passed on. I shrugged it off as I couldn’t imagine who that could be but the healer went on to say that this person would guide me and lead me to all the people I needed to know for this next evolution of my business. That part I did not shrug off. The next day as I was heading to the Phoenix airport I found out that a dear friend and mentor, Tom Grunwald, who is the person who started me on my journey as an environmentalist many years ago, and helped me to birth so many dreams had just passed. While I was very sad to hear this news, I also felt blessed with the knowledge that it was him sitting on my shoulder, still with me and guiding me in our canoe, paddling with me to my next creation. I’m not sure what took me so long to say yes to my dream of starting the year at a spa, but I am certain it is no coincidence that I chose to do so this year, at a time when the world seems so crazy. It reminded me that amidst all the chaos, taking the time to be in nature, to get quiet, to dare to dream and to share that dream in a sacred space with supportive friends is essential to our survival.